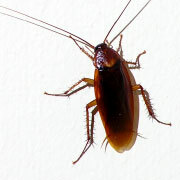 There are many different species of cockroaches. In order to solve a cockroach problem, the species must be determined first. We offer identification of pests FREE.